QuickBooks is a vital program for many businesses and at Service Proz, we recognized the importance of QuickBooks On Line and QuickBooks desktop integration for your business. When you sync the power of your existing QuickBooks application with Service Proz, your business’s important information and data, billing and invoicing, instantly your productivity is matched with Service Proz’s workforce management solution. Once Service Proz and QuickBooks are synced organizing your company’s important data is a breeze. 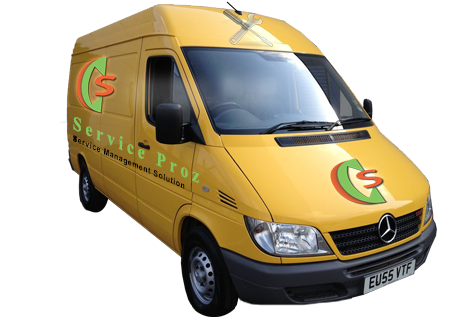 Service Proz works seamlessly for you because our application is tailored and targeted to the home service industry for your convenience. The sync process just takes a few clicks and a few minutes from start to finish. Then from one application, Service Proz and QuickBooks are synced and your business can manage customers, employees, billing and invoicing from just one place. All your important business information is securely stored safely in the cloud for convenient, mobile access. Posted on November 19, 2014, in Service Proz features and tagged QuickBooks, work order management, workforce, workforce management. Bookmark the permalink. Leave a comment.